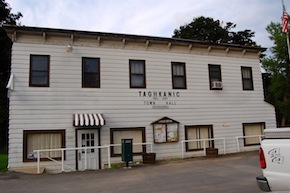 Taghkanic Town Court is located at 909 State Route 82 in Ancram New York. The Court is located a short distance from the Taconic State Parkway and is best accessed by car. Public transportation to the court is sparse. It is approximately 30 miles south of Albany and the Berkshires in Massachusetts. The court is located in the same building as Town Hall and has limited hours. The court clerk has office hours on the 1st and 3rd Thursday at 9:00 am. About Our Firm: About Our Firm: At Villanueva & Sanchala, PLLC we excel at getting New York traffic tickets dismissed or reduced. We have over 25 years of legal experience and have gained a reputation among our peers as being superb lawyers. Our team of traffic and criminal defense lawyers is lead by Joseph P. Villanueva. He is a former prosecutor. Having a former prosecutor on your side can help in analyzing critical issues in your case. This can make the difference in you keep your license or having your license suspended or revoked. Call us now 800-893-9645. The court may not be easily accessible from a GPS device. To be certain you find the court, you should take the Taconic State Parkway and exit at the Hudson/Ancram exit toward Hudson on State Route 82 for ¼ mile, the court is located on the right. About the Court: Taghkanic Town Court is a court of local jurisdiction. It has power to adjudicate misdemeanors and lower level civil matters such as landlord tenant complaints and small claims cases. Felony cases can be heard in Taghkanic but it maintains limited jurisdiction over these matter. Many speeding tickets are issued along the Taconic State Parkway and those tickets that fall within the Town of Taghkanic are prosecuted in this court. Tickets issued by the New York State Police are prosecuted by the Columbia County District Attorney's Office. The court is physically located on the ground floor. There are two doors leading to the court but the main entrance is on the front of the building and not on the side. The side door is reserved as an emergency exit. While court sessions, the maximum occupancy for the court is 18 persons. Meanwhile the maximum occupancy for Town Hall meetings is 47. The official court record for Traffic Court is maintained by digital recording. Digital court recordings have been known to pick up ambient noise from members in the gallery. As such, it is important to remain silent during court proceedings and to turn off all cellular devices. The clerk of the court has an office located immediately to the right of the judge's bench. The role of the clerk is to assist the judge and attendees in court. This may include but is not limited to collecting fine money and writing notes on a court folder. Upon resolution a traffic matter, the court expects all fines to be paid in court. When you arrive in court, you will go down a small set of stairs to enter the court. Upon entering the court, there is a sign in sheet to the immediate right of the entrance door. You should sign your name on the sign in sheet to acknowledge your presence. Court Tip: Going to court and representing yourself before a judge, police officer, or Assistant District Attorney can be difficult. If you are in need of an attorney to fight your speeding ticket in the Town of Taghkonic, give our lawyers a call and ask how we can help you.